Central bankers have been attacked, justifiably, for having done little to quash the great credit bubble that led to the 2008 financial crisis. They could have raised rates sooner, more quickly and higher (though that’s a blunt instrument). They could have used their bully pulpits more (though that’s a weak instrument). They and fellow banking regulators could have tightened rules (but that’s a fantasy if you are captured by industry). Now things look quite effervescent if not completely bubbly. Measures of systemic risk, according to the Stern School of Business Volatility Lab, are down from their mid-2008 peaks but still high. Central bankers are trying to show they have learned the lessons. In a recent speech, Stanley Fischer, the No. 2 at the Fed, examined what worked and didn’t work in confronting Israel’s housing bubble in the mid-2000s. Mr. Fischer headed that country’s central bank from 2005 to 2013. And in a July report accompanying her testimony to Congress, the chairwoman of the Fed, Janet L. Yellen, called out the junk bond sector and biotechnology and social media stocks as overheated. 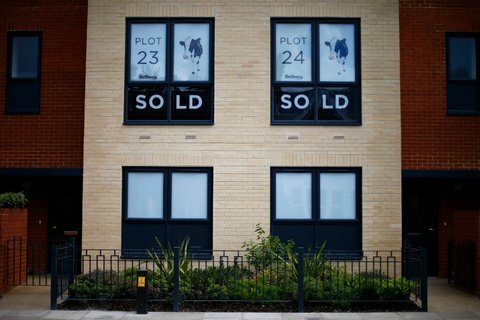 More seriously, the Bank of England took steps in June to tighten lending standards out of mounting concern over Britain’s housing bubble. Given how few lessons from the financial crisis actually seem to have sunk in, this is good news. The conventional wisdom before the crisis was the Greenspanian notion that no one could identify bubbles in time to act. All that was possible was to clean up the wreckage after they burst. An opposing camp among mainstream economists contended that central banks should indeed worry about bubbles. Stephen G. Cecchetti, an economist at Brandeis, was a bubble-burster at that time, but by his own admission, his camp erred as well. They focused too much on stock prices, and not enough on either property prices or the turbocharging effect of borrowing on the risks taken by investment banks like Lehman Brothers. “The bubbles to watch out for are the ones have effect on real economic activity,” he said. Unfortunately, some economists remain skeptical about bubble-fighting exhortations. Why crash the markets today to avoid a crash tomorrow? The economy is still suffering from underemployment, wage stagnation, a lack of investment and income and wealth inequality. Premature central bank tightening could be damaging. What has happened is that bubble-fighting has become a collateral victim of the bigger fight in monetary policy circles over whether the Fed’s loose-money policies are debasing the dollar and igniting inflation. They’re not. Predictors of inflation look more and more like Dorothy Martin’s acolytes, the subjects of the groundbreaking study “When Prophecy Fails,” about true believers whose faith in a predicted apocalypse persists even after it fails to materialize. Just because there is significant overlap between the inflationista and bubble-popper camps doesn’t mean bubble-popping is wrong. Burst bubbles hurt the poor and disenfranchised more than the wealthy, whose savings cushion them from temporary downturns. On the other hand, loose monetary policy bolsters asset prices, which helps the wealthy more than the middle class and the poor. Jeremy Stein, an economist at Harvard who just left the Federal Reserve board of governors this summer, told me, “I’m broadly sympathetic to the argument that central bankers should be attentive to financial stability ex ante. You can’t just look at unemployment and inflation and little else.” Translation: Yes, central bankers should watch for bubbles and excess leverage and try to do something about it. So, are the efforts to rein in the markets working? There are some modestly positive signs. Ms. Yellen’s jawboning may have had some effect — or her timing was just good. Investors pulled out of junk bond funds after she highlighted the elevated prices. But the Fed’s lending oversight hasn’t demonstrated much grit. In Britain, if you squint, you can see that house prices ever so slightly cooled off in August. They rose at 9.7 percent year-over-year, a lower rate of growth than July’s rise of 10.2 percent. A one-time bite of the jawbone almost certainly won’t be enough. 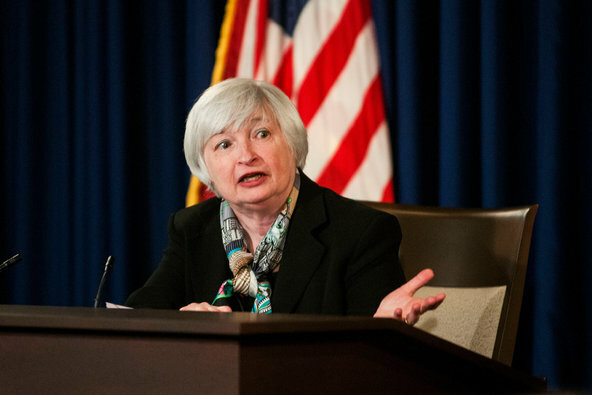 Ms. Yellen and the Fed will need a sustained campaign. This raises two problems with the fight in the United States: One, the Fed may not have sufficient power, and two, it’s still too afraid of the markets. Post-crisis, the Bank of England handles almost all financial regulatory oversight in Britain. Post Dodd-Frank, the United States still has its balkanized and turf-conscious architecture. The greater problem is exit strategy. It’s easier to loosen than to tighten. Central banks face a conundrum. Any sudden movements, and twitchy investors will sell quickly, crashing markets. This, in turn, creates a trap within the trap. If investors come to believe that central bankers are reluctant to spook the markets, they become even more complacent, pushing volatility lower. That makes the markets even more likely to overreact to central bank tightening. It’s a bad feedback loop. “If the market is in a complacent state, and volatility is low, it can be harder to execute on the normalization plan,” Professor Stein said. (“Normalization” means raising rates and pulling back on bond purchases as the economic recovery gains momentum.) When the Fed merely hinted in late spring last year that it would pull back on its bond purchasing, the markets threw what became known as the Taper Tantrum. The Fed retreated the moment it saw investors’ faces turn blue. Is the Fed cautiousness an effort to protect the investing class? Mr. Stein says no. “It’s not because the F.O.M.C. cares about people in the market and is trying to backstop them,” he said, referring to the Federal Open Market Committee. “It’s because they care about their mandate,” which is to help the labor markets and preserve price stability. Sudden market movements tighten credit, which hurts the economy. A solution, in Mr. Stein’s words, is that “over the longer run, it might be helpful to try to build some institutional resolve and reputational capital around the proposition that policy should not be overly reactive to asset-price declines.” Translation: The Fed needs to set a tightening course it cannot deviate from even if markets freak out. Unfortunately, the Fed has made it pretty clear over the last few decades that it lacks the nerve to do this. More recently, this long bull market has been one of the smoothest and steadiest in history. The Fed has reinforced investor complacency and recklessness. The lack of volatility creates a volatile mix. If there’s a price to be paid, and many think there will be, it will be borne less by the wealthy than by the rest of us.